Apart from a major question of practicality, where’s the money supposed to come from for these ideologically driven policies? Renewable energy zealots talk about the ‘transition’ to an all wind and sun powered future being ‘inevitable’. Except that the only thing inevitable about running on sunshine and breezes, is grid chaos and rocketing power prices. Ask a South Australian. It is also what that crazy German Corporal with the funny moustache called a “big lie”: so helpful to the tyrant because the broad masses of a nation are always more easily corrupted and more readily fall victim to a colossal untruth, than the small lie. The idea that a country can run itself entirely on wind and solar power is, of course, patent nonsense. But, there are plenty profiting from that ideologically driven fiction, who have worked out that if you ramp up the claims to the height of ridiculousness, there are plenty of idiots ready to believe you. California has done just that. Tropical depression Helena will reach Europe on Monday. Yes, this is foolishness way beyond Stupid! Atop the drive to end fueled Electric Power Generation, Nuclear Generation, there is a drive to require Electrical based transportation, This Insane-asylum is being run by the inmates. This is way beyond ignorance, this is deliberate stupid. Our electric bill has doubled in less then 10 years and they want to double it again in the next 3. This is their second stab at stupid as they did the same thing back in the 1970s. Moonbeam and his gang deliberately wreaking the state’s economy to “save the world”,from what! Their Religion? High geomagnetic activity increases the speed of the northern jet stream in the Atlantic and Pacific. This will be a strong hit of the Atlantic in Europe. 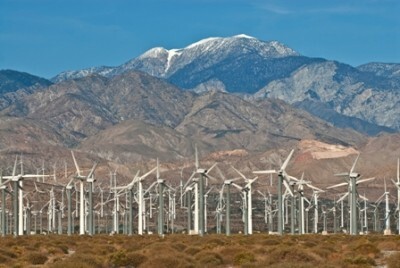 those windmills are the most gawd awful ugly pieces of crap ever invented. They are destroying the beauty of the land while providing spastic outputs of variant energy causing massive balancing issues for the grid controllers all at the cost of three to four times ‘normal’ power supply and sucking up billions in tax money both over and under the table. Well hopefully California achieves its stated goal very soon. And then it will be utterly quiet from the US state that brought us so much empty virtue signalling. Please, New York follow California’s lead — which should ensure quietude from most of the US’s idiotic MSN. Changing the direction of the jet stream over the Atlantic followed on increase in the geomagnetic activity at the end of August 2018.